Use the quicklinks below to jump to the desired section regarding transport in and around Chiang Mai. Chiang Mai International Airport (IATA code: CNX) is a busy airport with some 150 flights a week split between domestic and overseas destinations. In 2016, it served an estimated 2 million passengers. While all in the one building, the airport has two terminals—domestic and international—meaning there are two sets of departure and arrival areas within. Check flights on Skyscanner to find the cheapest direct flights from Chiang Mai. The primary domestic route is between Chiang Mai and Bangkok, with at least hourly flights scheduled by either the two principal local carriers, THAI and Bangkok Airways, or budget airlines Nok Air, Thai Smile, Lion and Thai Air Asia (among others). Note that budget airlines generally fly into Bangkok’s Don Muang International Airport rather than Suvarnabhumi International Airport. Other domestic routes include Phuket, Surat Thani, Hat Yai, Ko Samui and Udon Thani. Not all the above are daily and vary according to season with often relatively last-minute schedule changes. Prices vary considerably according to airline, day of the week and season of the year—Bangkok flights for instance can go for anything from under 1,000 to over 3,000 baht. As far as international flights go, Bangkok Airways fly to Mandalay and Yangon in Burma and Luang Prabang in Laos while Silk Air have direct flights to Singapore. Malaysia, Cathay Pacific and China Eastern Airlines have direct routes to Kuala Lumpur, Hong Kong and Kunming respectively while AirAsia also serve the burgeoning Chinese trade with flights to Chongqing and Hangzhou. There are two terminals at CNX—domestic and international—with a full range of standard airport food and drink outlets, souvenir shops, massage parlours, exchange booths and duty free on hand. For transport to and from downtown Chiang Mai, you have a choice of meter taxis and airport taxis for a trip into town or walking out onto the main road and flagging down a songthaew or tuk tuk. Taxis from the airport charge a set 150 baht fare to any downtown location. Some hotels and guesthouses may offer an airport pick-up (or drop-off) service. Check with your accommodation for details on this. There is a shared minibus service which you’ll find in the car park outside exit number 1 but at 100 baht per person we can see little advantage when, if you’re unlucky, you could be faced with dropping off people at six different hotels on the way to yours. Should you be wanting to drive yourself, there are plenty of car hire agencies at the airport, though you might be able to find cheaper deals in town. Chiang Mai International is located to the southwest of the city centre off Mahidol Road, just a 10-minute or four-kilometre drive from downtown. Chiang Mai is the northern terminus of a single rail line running between Chiang Mai and Bangkok with stops including Lamphun, Lampang, Phitsanulok, Lopburi, Ayuthaya and Don Muang en route to Hualamphong Station in Bangkok. The service has been much improved in recent times both in terms of rolling stock and tracks and while delays are still frequent, derailments are happily much less so. It can be a pleasant means of transport if you’re not in a hurry and some interesting scenery can be seen during daylight hours, particularly on the northern section between Lampang and Chiang Mai. Air-con seats aren’t that much cheaper than a budget airline these days, especially when you factor in meals and drinks en route, and it is both more expensive and slower than a bus. Train travel is however more comfortable and safer than bus travel in Thailand. Which is the best train between Bangkok and Chiang Mai? If you have time on your hands and enjoy watching the scenery sail by, then catching a daytime train, the Special Express (#7 from Bangkok to Chiang Mai, #8 from Chiang Mai to Bangkok) is the way to go. These two trains are air-con throughout with reclining chairs and a meal is served during the trip. If you’re not so fussed about the scenery, or would prefer to save on accommodation by sleeping on the train, you have a few night trains to consider. Overnight trains on this leg come in a few flavours offering the following possibilities (from cheapest to most expensive): 3rd class seats, 2nd class seats, 2nd class fan-cooled sleepers, 2nd class air-con sleepers, and 1st class air-con sleepers. Not all of these are available on all trains! The best timed night trains between Bangkok and Chiang Mai are the Ordinary 9/10 and the Special Express 13/14. Both leave early evening, arriving early morning the next day, neither though has a fan-cooled sleeper—you’ll have to pay for air-con. If you’d prefer a second-class fan-cooled sleeper, then the Express 51/52 is the way to go. * The Rapid 102/109 has second class fan-cooled sleepers only on the Bangkok to Chiang Mai route. Well, you can get off the train anywhere, and we have an entire itinerary piece dedicated to stops between Bangkok and Chiang Mai, but the most popular (from south to north) are Ayutthaya, Lopburi, Phitsanulok (primarily for Sukhothai), Phrae (also for Nan and Phayao) Lampang and Lamphun. For those in a real hurry, it is possible to get the morning train from Bangkok and jump out at Ayutthaya OR Lopburi for a half day of sightseeing before jumping back on a night train onwards to Chiang Mai—but if you have the time, either is worth at least an overnight stay. Do you need to book in advance for trains between Bangkok and Chiang Mai? The Bangkok to Chiang Mai train trip is a very popular one, and trains fill up, especially around public holidays and festivals—especially Christmas, New Year, Loi Krathong and Songkran (Thai New Year)—booking your tickets in advance is advisable. Even if you are travelling mid week in the off season it is prudent to grab your tickets a day or so beforehand—especially if you are after sleeper or first class tickets. Child prices are charged at around two-thirds of the adult rate. Tickets can be booked and purchased in person at Chiang Mai train station along with any other station in the country. Retail travel agents across Thailand will also sell you a ticket with a service fee attached. Tickets can be purchased up to 60 days in advance. Tickets can also be booked through the State Railways of Thailand website. It is a bit of a clunky interface, but booking direct will deliver the cheaper price for the tickets. Tickets can also be purchased through a variety of online travel agents, including Travelfish booking partners 12Go Asia and Baolau. Both of these agencies will charge a commission on the ticket price, but the interfaces are easier to use (in our opinion) and part of that commission will (at least in theory) be shared with Travelfish—helping to keep us in business. Chiang Mai train station is located just a little to the east of Chiang Mai’s old walled city on Charoen Muang Rd, roughly a 20 to 30 minute walk to the Ping River. If you’re not feeling so energetic, there are plenty of tuk tuks on hand to take you further afield, or you can walk out to the main road and flag down a passing songthaew or city bus. Expect to pay 120 to 150 baht for a tuk tuk and 20 to 30 baht for a songthaew (depending on where you are going). The City Bus B1 line also passes by the train station (every 30 minutes to an hour) and the flat 15 baht fare will take you into the city. Chiang Mai city has two separate bus stations, Chang Puak and Arcade. The former serves provincial destinations (plus Lamphun) and is located in the district of the same name just north of the Old City. Larger Arcade functions as the long-distance hub and is situated in east Chiang Mai’s Wat Ket district. Arcade has terminals 2 and 3 with Chiang Mai’s bus terminal number 1 being Chang Puak. Chiang Dao: Songthaews leave every 7 minutes between 06:30-18:30, cost 40 baht and take 1.30 minutes. Doi Tao: Buses leave every 2 hours between 04:30-15:30 and cost 70 baht. Hang Dong, Sanpatong, Chom Thong: Songthaews leave every 7 minutes between 06:30-18:00 and cost 15, 23 and 30 baht respectively. Hot: Buses run every 20 minutes between 06:30-17:30, cost 49 baht and take about 2 hours. Lamphun: Songthaews depart every 10 minutes between 06:00-20:30 and cost 18 baht. Minibuses leave every 20 minutes between 06:30-18:30, cost 25 baht and take around 45 minutes. Mae Ai/Tha Ton: Buses leave every 2 hours between 05:30-15:30, cost 90 baht and take around 4 hours. Phrao: Buses depart at 06:20, 11:00 and 15:50 and cost 62 baht. Minibuses run hourly between 06:00-18:10, cost 80 baht and take 1.5 hours. Various other Chiang Mai provincial destinations are serviced by songthaew or bus, but Chiang Rai and Mae Hong Son routes depart from Arcade bus station. Arcade bus station is split into terminals 2 and 3, with private bus company Nakornchaiair also having their own very plush terminal behind number 2. Terminal 2 is surrounded by cafes, minimarts and coffee shops and there’s also motorbike rental and 24-hour parking facilities on site. The newer terminal number 3 has similar options within the main building itself. Both have information desks and left luggage facilities. Numerous companies operate out of this large bus terminal with particularly fierce competition on the Chiang Mai–Bangkok route but the principal services, with widest range of destinations and perhaps best levels of organisation are Green Bus, Nakhonchaiair and Sombat Tour. All three cover nationwide destinations: All stops to Bangkok (such as Phitsanolok, Nakhon Sawan and Ayutthaya) and all major Isaan destinations ( like Udon Thani, Ubon Ratchathani, Surin, Nakhon Ratchasima and Khon Kaen), as well as other northern provinces (such as Chiang Rai, Phrae, Nan and Phayao). Green Bus have regular connections to border crossing towns including Mae Sot, Chiang Khong and Mae Sai. Some offer “direct” services to southern destinations such as Hua Hin, Phuket, Krabi and so on though we’re not sure how direct these really are. One company—Sasanan—even offers twice-daily Kanchanaburi routes. The local Prempracha Company, leaving from terminal 2, specialises in the Mae Hong Son destinations of Pai, Soppong, Mae Hong Son, Khun Yuam and Mae Sariang. All of these companies now have English language websites plus online booking facilities, with most accepting payment at any 7-eleven minimart for a minimal service charge. Most of these tickets can also be arranged through your hotel or guesthouse, again with a small commission added. 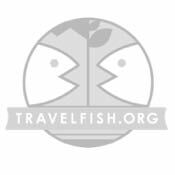 Many bus services from Chiang Mai can also be booked online through Travelfish partner 12Go Asia. Along with your choice of bus companies you also have a choice between day and night services. Yes, you do save on a night’s accommodation on the latter, but you’re unlikely to sleep much. You can also decide between various vehicle types such as regular air-con, deluxe and VIP, with various shades in between. Price varies accordingly with the principal criteria being number of seats. The most expensive are 24-seat VIPs with seats that recline horizontally. Many services include snacks, drinks and meals. Bangkok: Prices range from 379 to 759 baht depending on operator and class of bus with departures throughout the day. Following are all with Green Bus, though other companies also serve some of these destinations. Chiang Rai: 20 departures daily, costing 129 baht to 258 baht. Mae Sot: Departs 08:30 and 13:10, costing 290 baht and taking 5.5 hours. Phayao: Departs seven times daily between 09:20 and 21:35. costing 111 to 221 baht and taking 2.5 hours. Nan: Departs nine times daily taking just five to seven hours depending on route and costing 213 to 395 baht. Khun Yuam: Four departures daily between 07:00 and 14:00 and takes five and a half hours. Fare is 169 baht for a fan bus and 282 baht for an air-con bus. Mae Sariang: Seven departures daily between 07:00 and 17:00 and takes 3.5 hours. Fare is 104 baht for a fan bus and 200 baht for an air-con minibus. Pai: Twelve departures daily between 06:30 and 17:30 and takes three hours. Fare is 78 baht for a fan bus and 150 baht for an air-con minibus. Soppong: Eight departures daily between 06:30 and 14:30 and takes four hours. Fare is 103 baht for a fan bus and 250 baht for an air-con minibus. The northeast is served by the government Transport Company, Nakornchai and a number of other private companies. The following sample is from the Nakornchai website. Tickets can also be purchased with Travelfish partner 12Go Asia. Si Saket: Departs 18:15 takes 16 hours and costs 777 baht. Surin: Departs 16:00 takes 18 hours and costs 777 baht. Ubon Ratchathani: Departs 13:15 and 18:00 takes 16 hours and costs 707 baht. A couple of international routes are on offer to Laos (Luang Prabang) and Burma (Myanmar) (Yangon). The first travels to Chiang Khong, Huay Xai and Luang Nam Tha on its way to Luang Prabang. The latter takes you across the border at Mae Sot and stops at Hpa-an on its way to Yangon. The Luang Prabang service departs on Monday, Wednesday, Friday and Sunday at 09:00, taking 20 hours to cover the 842 kilometres and costing 1,200 baht which, when we checked was listed as a promotional low season price. They weren’t quite sure for high season but expect to pay around 1,500 baht if you really think travelling all the way from Chiang Mai to Luang Prabang in a single hop is a good idea. Green Bus also runs a service to Yangon in Burma, stopping at Mae Sot and Hpa-an. Departures are daily at 08:30 and whatever their schedule says we reckon it’d take at least 14 hours on a good day to complete the journey. They were slightly vague when we enquired into the nitty gritty but it appears you take the regular Green Bus connection to Mae Sot then a short transfer across the bridge to the Burma immigration office beyond which an air-con bus or minibus (depending upon numbers) is waiting to take you on to Hpa-an, Tha Ton and Yangon. Price is 1,650 baht per person and there’s no reduction for alighting in Hpa-an. That’s around half the price of a one-hour flight from Chiang Mai to Yangon. Taking the Mae Sot bus, walking across the border and hopping into a shared taxi for the two-hour run to Hpa-an would cost you less than half again, so we’re not convinced of this service’s worth any more than we are the Luang Prabang one. There is plenty of choice with public buses, songthaews, tuk tuks and air-con taxis all available at Arcade. There’s a bus stop and route map right outside terminal 2 offering two different itineraries through and around town so there’s a good chance that wherever you’re staying there will be a bus stop nearby. The fare is 15 baht flat. Songthaews also have a 30 baht flat fare to anywhere in the centre of town from Arcade. There’s a welcome tariff board next to the tuk tuk queue and Tha Pae Gate is 120 baht for instance, or Wat Phra Singh 150 baht. The yellow and blue meter taxis also concur on a flat fare and charge 150 baht to anywhere in the downtown area of Chiang Mai. Arcade Bus Station: 165 Kaew Narawat Soi 5, Wat Ket. Green Bus: T: (053) 266 480; http://www.greenbusthailand.com/. NakornchaiAir: T: (044) 261 555; http://www2.nakhonchaiair.com/. Sombat Tour: T: (053) 246 531; http://www.sombattour.com/. Prempracha Transport: T: (053) 492 999; http://premprachatransports.com/. Further reading regarding other travel to/from Chiang Mai. Hot to get to Chiang Mai: Road, rail or air? Most of Chiang Mai’s downtown sights are within walking easy distance of each other. We’ve deliberately stuck to convenient, central locations for the majority of both our accommodation and eat and drink selections, concentrating on the Old City and the area between the moat and the Ping River. That means there’s little that isn’t within a roughly two kilometre radius of Tha Pae Gate. If you'd prefer not to be walking in the midday heat, cycling is another practical way of getting around Chiang Mai and allows you to include some slightly more eccentrically located sites such as Wat Umong, Jet Yot or Huay Tung Tao. Do take care with the traffic and cycle on the assumption that you need to yield right of way to everything but small animals (but maybe you should be kind and let them live). If cycling is too much effort, scooter hire is a very popular way to get around, but do be sure to be aware of the safety and travel insurance implications of riding unlicensed. Always wear a helmet and if you’ve got a few too many Chang beers under the belt, leave the bike at the bar—it should be there in the morning. These two aside, you’ll be needing to rely on the the city’s erratic bus service, ubiquitous red songthaews or frequently rather greedy tuk tuk drivers. Aside from the numerous rental shops, many guesthouses and hotels in Chiang Mai provide cheap (say 50 baht) or free bicycles to guests. It's an ideal way to get around the centre of town and even some nearby out of centre destinations. A low-key service provided by the municipal council is a bike hire scheme with drop-off and pick-up spots around town. Unfortunately they have a two-tiered pricing system, with a 20 baht surcharge for foreigners. If that doesn't bother you, bike station locations include Worarot, Thae Pae Gate, Chiang Mai Gate, Suan Buak Hat, Chiang Mai University, Wat Phra Singh, Maya plus several others. Rental is 50 baht a day. Bikes are hardly state of the art but looked decent enough to us. Some of the stations are (again in theory) attended, otherwise you’ll need five ten baht coins to get a ride. See their website for details. Bike@Chiang Mai: T: (095) 787 5012, (086) 395 8064; http://www.bike-at.com. Outside a tourist hotspot it may be more effective to flag down a passing one rather than approaching one of the parked drivers. On the bright side, drivers at Arcade Bus Station are now obliged to abide by fixed tariffs marked on a large poster next to the tuk tuk desk so at least you’re no longer going to be ripped off right on arrival. We didn’t see such a board at the railway station but we were quoted a very reasonable 80 baht to downtown from an elderly driver. Any ride within the Old City walls should not cost more than 80 baht. One side to the other, say Kad Suan Kaew to Tha Pae, should not set you back more than 100 baht. Tha Pae to the main bus or train station ought to be around the 120 baht mark. There is a tendency to apply a night time supplement. Note that red songthaews ply these major routes anyway, with theoretical at least, flat fares. There’s quite fierce, and occasionally vicious, competition ongoing between tuk tuk and songthaew owners and taxi firms such as Grab and Uber. If the former offered a decent service and stopped ripping passengers off there wouldn’t need to be. As regards Chiang Mai’s blue and yellow meter taxis, increasingly common across town, don’t expect them to actually use their meters. Transport authorities have applied what seem close to Bangkok charges in much smaller Chiang Mai so the starting rate is 40 baht with no increase for the first three kilometres. Seeing as how that covers all of downtown it’s clearly absurd. If we were a local taxi driver we wouldn’t put our meter on either! So as per a tuk tuk you need to negotiate; rates ought to be comparable between the two. Like foot massage joints, you’re never that far from a motorbike rental shop in Chiang Mai and consequently rates are very reasonable. Expect to pay 200 to 300 baht per day depending upon the model of scooter, with longer term rentals coming down to around the 150 to 200 baht mark. As you’d expect in low season it’s a lot easier to negotiate a discount. You do not need one for getting around town but it is a very practical means of reaching out of town locations or for onward travel to say Pai. Before you rent the bike, check brakes, tyres, horn and lights. The rental shop will usually run through a checklist of pre-existing scratches or bumps before you take the bike; go through the checklist with the staff member. Read the small print in the rental agreement carefully and leave a cash deposit as a caution rather than your passport. (Usually 2,000 to3,000 baht will suffice.) If any of the above doesn’t meet your satisfaction then go to another shop—there are plenty more. Always wear a helmet. Even if in your confused brain it is somehow cool to ride around without a helmet you’ll get stopped by the first police officer who sees you. In 2017 Chiang Mai’s finest regularly set up roadblocks—often on the moat road or major axis but locations change a lot—and foreigners riding bikes are their favourite target. The rental agency will almost never ask that you are legally licensed to ride a motorbike. If you’re planning on riding without a license, we ask you to read this page on the travel insurance implications of doing so. Chiang Mai police also like to test their new breathaliser machines. If you’re over the limit that will cost you a lot more than 400 baht. Note that if the cops do want to fine you they will find a reason and there’s little point in arguing. Do note that in congested Chiang Mai many streets are one-way and it isn’t always immediately obvious which way is what, so take care. Most of our driving problems have been with other foreigners—unaware of local techniques or weaving around the road not sure where they’re going. Although many locals are not aware of the fact, Chiang Mai city has its own municipal bus service. The service has been on and of for several years and has had to cope with vigorous opposition from tuk tuk and songthaew drivers. These are small, white, air-con buses with flat 15 baht fares. Routes that we’re pretty confident do function are Arcade Bus Station to the Zoo and Arcade to the airport. Known as chiangmaibus, we couldn’t find an English version of their website, although their Thai-language map does claim five or six routes. Our two attempts at testing it (we did try, honest!) resulted in us getting bored after 30 minutes and hopping into songthaews instead. The hard to find bus stops, in this case outside Computer Plaza, had no shade either, so not ideal for either hot or rainy weather. It seems a bit of a watch this space scenario but if it does get itself sorted out it would be most welcome addition to Chiang Mai’s public transport infrastructure. Chiang Mai’s ubiquitous red covered pick-up trucks—known as songthaews—function somewhere between buses and taxis. They don’t have regular routes or scheduled times but tend to head towards their first fare’s destination making stops and often detours on the way to drop off and pick up additional passengers. Such detours can occasionally be long-winded and you may even sometimes find yourself temporarily heading in the opposite direction to your desired one. You will eventually end up near enough to where you want to go and in theory a flat fare around the city is 30 baht per person. To stop one simply flag it down while to get out press one of the buzzers located on the roof. Any other colour variation you see are out of town and suburban services, which in contrast do have fixed routes. These are as follows. Bearing in mind prices are approximate and note that while we’ve indicated the respective terminuses you can equally attempt to flag these down anywhere on their routes, too. Blue: Lamphun-bound, costing 15 baht and leaving from the riverside, Chiang Mai-Lamphun Road by the metal bridge. Green: Northeast to Mae Jo, costing 15-25 baht and departing from Worarot Market. Orange: Heading north from Chang Puak and stopping at Chiang Dao, 40-50 baht and Fang, 75-80 baht. Red: These are also available for private hire—your hotel or guesthouse should be able to help. These are a practical means of transport if you’ve got a group of people together. They comfortably seat eight to 10 adults at a pinch. White: East-bound, serves Bor Sang/Sankhampaeng, Doi Saket and Mae Taeng. Latter is 25 baht and other destinations 15 baht. Trucks leave from Worarot Market. Yellow: West bound including all stops to Chom Thong for 30 baht and departing from Chiang Mai Gate though confusingly yellow ones also leave from Chang Puak bus station and travel to Mae Rim for 20 baht.